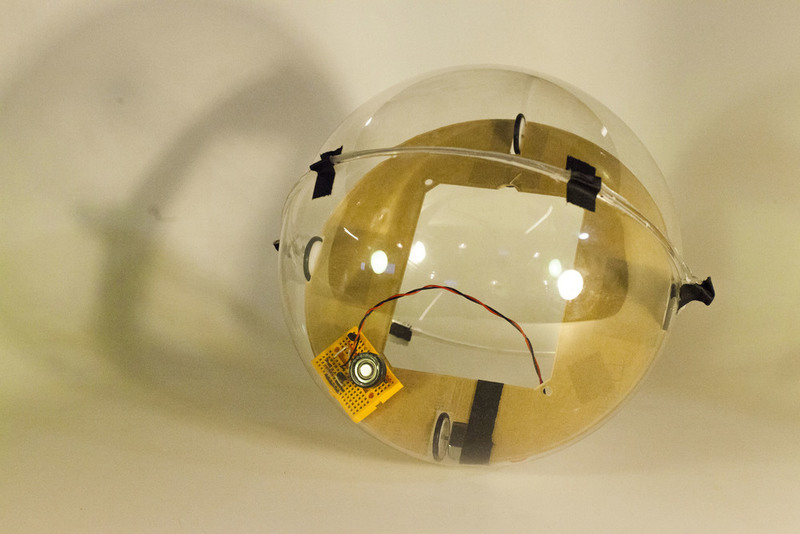 This is an ongoing project to make a sphere spin out of a solar powered motor. The idea behind BEAM Robots (Biology, Electronics, Aesthetics and Mechanics) is all robots that are driven by analogue circuits instead of micro-controllers. This robot can run through two types of circuits, one that involves a Voltage Trigger and another that involves Diodes (Zener or Signal). In the end we decided to go with the Signal Diode circuit. The electronic components in this BEAM Solar robot are: Voltaic 2W - 6V Solar panel, a 1F Capacitor, a 6V and 280 mA DC motor, PNP Transistor (2N3906), two Signal Diodes (in series), 2.2K Ω resistor and NPN Transistor (2N2904). How this circuit works is the Capacitor charges until the PNP transistor (06) receives base current through the Signal Diodes and turns on. The NPN transistor (04) turns on and the capacitor is discharged through the motor. As the NPN turns on, the 2.2K resistor starts to supply base current to the PNP and the circuit snaps on. When the capacitor voltage drops below about 1V, the the PNP turns off, the NPN turns off and disconnects the motor from the capacitor which starts to charge up again. We changed to this motor once we fail trying out a High Efficiency motor (4V and 30mA). Despite this change, the overall torque from the 6V Motor (± 180 gm/s^2) and 1.4cm radius wheels still isn't enough to drive the entire rig (circuit, plastic disc and plastic sphere). 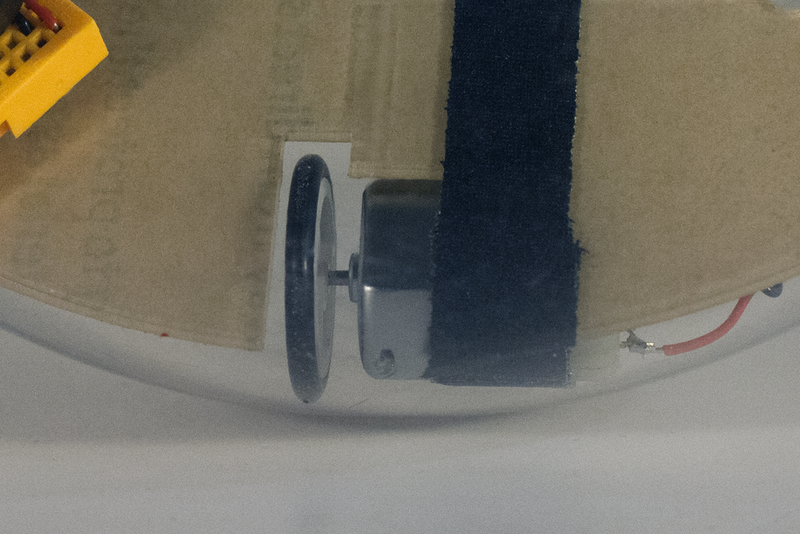 Next steps could be getting a more powerful motor, or make the entire robot lighter.